In Clearwater, arriving reporters were greeted with shouts and taunts by the crowd of about 3,000. Palin then went on to blame Katie Couric&apos;s questions for her "less-than-successful interview with kinda mainstream media." At that, Palin supporters turned on reporters in the press area, waving thunder sticks and shouting abuse. Others hurled obscenities at a camera crew. One Palin supporter shouted a racial epithet at an African American sound man for a network and told him, "Sit down, boy." 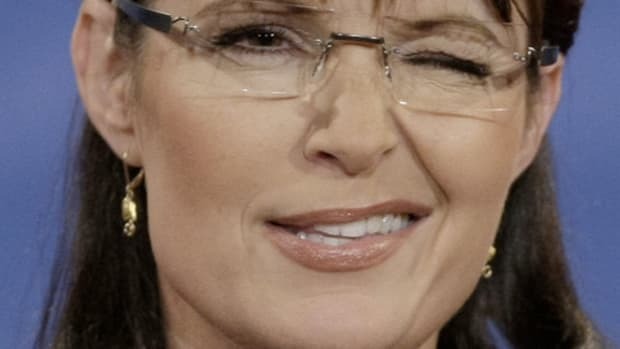 Palin Can't Stand Up To Media, How Can She Be A Heartbeat Away?